Of course, the video you post should be the focus of your activity on YouTube, but there's another space that's also extremely important and rather valuable that you should be paying attention to as well: the description. YouTube offers plenty of space for you to write anything your heart desires, but don’t go too crazy. There are a few things you should make sure to include in every YouTube description, though, so think of the following as a checklist to keep in mind every time you upload something! When you first get to a page with a video on it, you can typically see some text beneath the video, but not the entire description. This is on purpose, as it gives the uploader some room to write something important about what the viewer is about to see. So don’t waste it! The text that people first read is about the same length as a tweet, so make sure you’re showing them a worthwhile message first – and one that can be told in 140 characters. Don’t begin a long description about the video or the song. Rather, use that space to say that the single they are watching the video for is available on iTunes or Spotify now, or that the album is coming on a certain date in the near future. Simply adding a link to purchase an album or song is somewhat self-explanatory, but it’s not the best you can do. Make sure you include a call to action – one that specifically asks them to click the link to hear the song on a streaming platform, or to buy the single on iTunes. Ask them to preorder the corresponding album, or perhaps just to visit your website for more info on the song they're listening to at the moment. Actually including the action in your message may seem like an extra step, but it has been shown to be a very effective way to get people to do what you want. It never hurts to ask, right? You’ll want to make sure you include plenty of links in the description, and you have plenty of space to do so, but make sure you do it right. You’d be surprised how many times I've seen someone include an entire, full link that looks messy and complicated, instead of truncating it and making visiting whatever outside page it links to much easier. Label all of your links, so people know exactly where they're going. I would also suggest using a site like goo.gl to shorten links, as it is more aesthetically pleasing. I've said this many times, but it’s worth repeating: don’t forget to add links to all of your social pages! 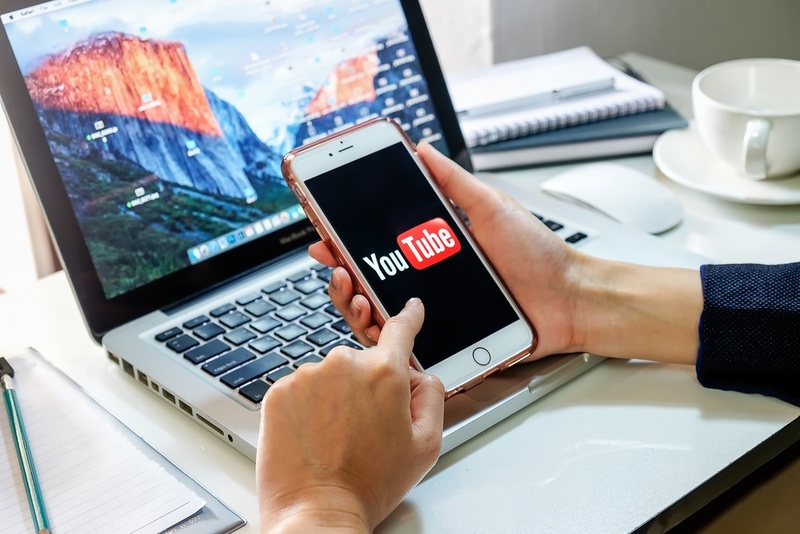 You never know who will end up watching one of your videos, and you don’t want to miss an opportunity for them to find you elsewhere on the internet after loving your latest music video. It’s incredibly easy to write links to your Facebook, Twitter, website, Instagram, and the like somewhere in your video’s description, and you definitely have room to do so. Don’t be shy about taking this opportunity to promote all of your channels, too! Once you've encouraged people to buy your single and shown them how to visit you on Facebook, what’s next? YouTube descriptions can be rather long, and while you don’t need to use all of the space provided, you should at least say something interesting! How was the video filmed? What does it mean to you? How does the song fit in on the album? Don’t give away the entire story, but if somebody's going to read your description, give him or her some cool tidbits that can only come from you. If you make it good, viewers may continue to read – and that’s how you get people attached to the song in additional ways, which helps build a relationship and hopefully sell some singles! Again, this one should be common sense, but I’ll throw it in here anyway. Nobody's hurt by you asking for those watching and reading to subscribe to your channel. If people are already listening to your track, chances are they're a fan of your work, and thus, they’ll want to hear more of it. Make sure they understand that if they subscribe to your channel, they’ll be the first to hear what’s next, and point them to where they can subscribe (it’s the big red button, by the way).